With the tough market conditions, the pool of ICO investors has dried up substantially. This has presented both legitimate projects and scammers with challenges in obtaining funds. Unfortunately, there is still plenty of slime in the blockchain space. Some projects may be clear vaporware, some may have shady team members, and some may run heavy with clear regulatory noncompliance… you may remember our ‘friends’ with Krops. Sure enough, less than one week after the report on Krops, the SEC (and others) dropped the hammer on them. Another amazingly malicious project has popped up, and it’s time to spare people that would otherwise be deceived. In the blockchain space, competition is healthy, and competing projects often have healthy relationships. The practice of going into a competitor’s Telegram and soliciting is unacceptable, and a similar practice would be unacceptable in any profession. To see this message raised the immediate suspicion “this has to be a scammer, right?” Surely, no Founder would do this? Sure enough- this was indeed the Founder of Superset. When approached about these messages, this Founder claimed that an Advisor on his team informed him about the iOlite project, and this Founder claimed he was trying to compare the iOlite project to Superset, and was asking iOlite community members to compare the two projects. Any reasonable person would take this alleged motive, read the above screenshot, and see the outright lie. Dan refused to acknowledge his actions, apologize for them — and has been subsequently caught doing this same action to other projects’ communities. This Founder claims he has been working on Superset for eight years, which is obviously an outright lie. If Superset had been in progress for even one year, competitor market research and analysis would have already been done — and certainly not in the method Dan Clark utilized. The ethics (or lack thereof) within these actions would be reason enough for a blockchain project to sink in it’s early stages, before even delving into doing a thorough due diligence of the project. Let’s do a due diligence just for funsies! Their website just launched mere days ago. Dan Clark claims this project has been in development for years. Their website contains both style elements cloned from iOlite, and even directly plagiarized text. This is not indicative of a legitimate project — but of a hastily established website. But before we call the project a scam and this ICO a cashgrab, let’s dig even deeper. Their social media footprint also just launched less than 36 hours ago. Their Twitter and Reddit are brand new, and their announcement-only Telegram with a whopping five viewers (two of which are monitoring for accountability purposes) is done for a reason. Can you think of any other projects that had announcement-only Telegrams, suddenly launched seemingly out of nowhere? We can! We’re not even into the truly good stuff yet. Financial and regulatory violations: Dan Clark claimed a partnership with WanChain in several direct messages to other projects’ community members — and this partnership is not factual. Even if this partnership was under negotiation, claiming a partnership that isn’t finalized is implying future valuation of a token — making it classifiable as a security. This would make Superset’s ICO off-limits to the majority of ICO investors, if they even were eligible to conduct this ICO at all: it is a requirement for an ICO to be ran through a legally registered company, with a public-facing physical address on their webpage. Naturally, neither company registration information nor an address is present on Superset’s webpage. In the past, ICOs that don’t have this information on their webpage have almost always conducted an exit scam. Any project that speculates on price futures of their token subsequently enables it to be classified as a security. There is a reason legitimate projects do not answer this question. SEC and CFTC reports have already been filed on Superset. The Superset “working product:” Dan Clark took it upon himself to try to claim “competing” (if that term is even applicable anymore) projects may “never have a working product,” and that Superset already has one. If Superset already has a working product, why would they need to raise funds in an ICO? We’ll delve more into that answer later — but for now, let’s take a peak at the alleged working product. Oh, wait — naturally, Superset’s proof of a working product is only via a video of which does not demonstrate firsthand verification of a working product. Other, ehrm, less than reputable projects do this too. iOlite has a public facing Proof of Concept, and BlockCAT has a beta. These are both public-facing methods to verify development. It’s extremely easy to spoof together a website and create a (seemingly) convincing video to demonstrate the “tech” of what is ultimately a scam project. ICO Funds/Token Allocation: Any reputable ICO review site asks projects to list their ICO funding allocation by purpose. This is typically broken down by percent, such as 33% marketing, 33% R/D, 30% partnerships, 4% team. If their product is already developed, less future development, what is the purpose of the ICO? There has never been an ICO that lacks ICO funding allocation that turned out to be a legitimate project, and a lack of this information is an immediate minimal score on any reputable ICO review website. It gets worse. Superset will be retaining 33% of the tokens ‘for the company’ with no use explanation. In a transparent project, this might look more like “17% for business development and partnerships, 16% for the team.” In this case, it’s a safe bet that this 33% is for the “team” to dump post-ICO, laughing all the way to the bank with your investment. Soft/hardcaps: Superset wants to raise a $64M USD hardcap. In comparison, iOlite is seeking a $12.5M USD hardcap, and BlockCAT funded a much more realistic $7.1M USD. iOlite and BlockCAT’s soft and hard caps reflect appropriate platform development and expansion costs. If Superset already has a working product, they’d theoretically be able to need an even lower soft/hardcap than their competitors — or truthfully, not need an ICO whatsoever. The Superset Team: They list a CIO, CTO, Head of Product, and Technical Product Manager. Nobody on the Superset team, less Dan Clark, even lists Superset on their LinkedIn profiles. This is a red flag that would make Stalin rise from the dead. This is the real gem: the Founder’s claims of the Superset project being worked on for eight years are outright proven a lie by a quick glance of his LinkedIn. Dan’s LinkedIn claims over 18 years of experience with “Fortune 500 Companies including Boeing,” somehow not listed in work experience. Dan’s listed employers include only Deepr Analytics (whom could not verify his employment,) and Boomerbot.com (which triggered a link alert,) — each only listed for 11 years. This low-effort approach is indicative of the same trend we saw in Superset’s FAQ: a likely hastily-construed profile to create the appearance of history. Career changes and deviation from degree happen, but the college years add up even less than the professional years. Suffice to say, this is highly likely to be a fake LinkedIn profile. The Superset whitepaper (teared apart below) claims to have even more people on their team, including prior Google talent. None of these individuals would verify their association with Superset. There are also 0 developers with blockchain development experience. To give you some context, iOlite and BlockCAT each have had a minimum of three full-time developers at any given time. The Superset whitepaper appears as if it was unironically made via this parody website in the same low-effort approach Superset (or, realistically, “Dan”) took to numerous other areas. We’re greeted with a header of “programmable money” which makes no use-case contextual sense, but we’re not even into the good stuff yet. Another low-effort, cookie-cutter autogenerated effort to put up a facade of legitimacy to untrained investors. We’re greeted with a generic yet vague mathematical abstract, much like Koinster provides as a best practice to seem legitimate to the untrained eye — followed by a background page that provides a history of Bitcoin and Ethereum, which couldn’t be parodied worse than the reality of it is. White paper generators and/or Fiverr gigs will literally emplace a variable on top of given words — in this case, Superset. This same infographic has been used in parody pages. Fret not- Superset didn’t exclusively utilize the Koinster whitepaper generator, they did a little bit of harder work, such as outright plagiarizing iOlite. 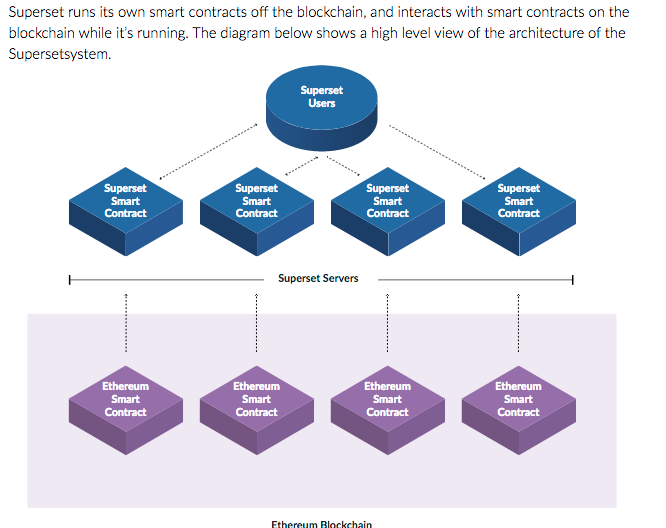 The whitepaper goes on in-depth as to how smart contracts work (with clearly plagarized explanations from multiple websites) and little to no explanation of Superset. This is another common practice in scam projects: they will explain the benefit of blockchain solutions to naive investors and hook them on that, while providing little to no explanation of their specific solution. In essence, vaporware. An extremely common practice of vaporware or scam ICOs is to provide misleading statements or graphics, deliberately instilling false conclusions with more naive investors. 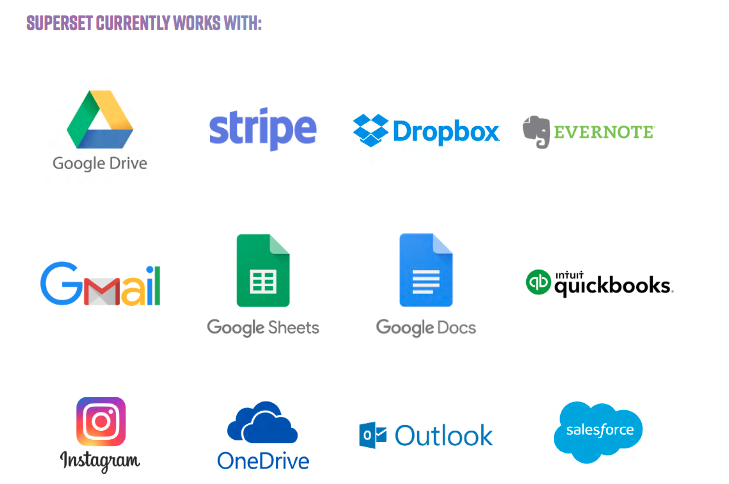 Superset has no partnerships with any of these companies, and any smart contract (whether made via a platform or elsewhere) can be created to work with all of the above listed entities. This portion of their whitepaper is clearly intended to mislead people into thinking Superset has partnerships they do not have. There is only loose information about the blockchain Superset will (allegedly) work on — that it is a “layer.” There is no information regarding the Superset blockchain. Inversely, reputable projects like iOlite provide this information — in their case, an Ethereum fork, with similar tech aspects. Even if Superset was a legitimate project, no business or partners are going to even go to the negotiating table without publicly facing information about Superset’s blockchain — there is a reason this is not in their whitepaper, and by now, you can likely draw that conclusion. 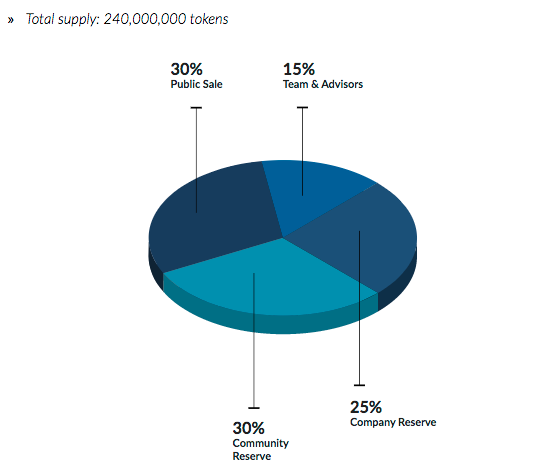 Of course, the whitepaper has numerous discrepancies from the website, including the token allocation — which amazingly takes one step forward by providing a pie chart with percentiles, and two steps back with incredibly vague descriptions. No explanation for Company or Community reserve, and a 200% variance in some areas from their website’s information. Let’s be nice and give Superset the benefit of the doubt they clearly don’t warrant: if the “team” gets 15% of the tokens, and if they truly do follow the vesting schedule (the whitepaper claims the team will receive 25% of their tokens four months post-ICO, and receive an equivalent portion over the next few years,) this is still an easy dump of millions of dollars. Considering the low-effort, this is a highly lucrative cashgrab for a scam. Furthermore, there is nothing in the whitepaper stating the vested tokens are smart-contract coded, and if you want to believe Superset by this point… well, I’ve heard Bitconnect is running a third ICO you should use my referral link for. Conclusion: One could go on for hours about Superset having more red flags than the USSR and still wouldn’t be able to list them all. It is the responsibility of the crypto community to police our own, protecting the less experienced of us from vaporware and scam projects. A failure of the crypto community and blockchain space to out projects clearly attempting a cashgrab via vaporware or exit scam will result in a high level of regulation that will stunt mass adoption of blockchain technology. Unfortunately, individuals like Dan (if Dan is even a real person) are riding the ICO hype train in a malicious attempt to line their own pockets, and Superset is an example of everything wrong with the status quo of the industry. Thankfully, more people are stepping up to put Dan and projects like Superset on blast, helping you filter these illicit operations.